Blackburn-based petrol station and convenience store giant EG Group announce a further expansion in the United States with an agreement to acquire a portfolio of 54 Fastrac Markets branded convenience retail stores and gas stations in addition to their wholesale fuel business. Fastrac operates in New York State with sites clustered along the 1-90 corridor in the Rochester-Syracuse-Albany region, with over 500 employees. 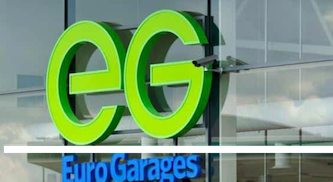 The EG Group currently employs more than 30,000 staff working in about 5,200 sites across Europe, the US and Australia. Jay Erickson, president of EG America, said: “Tom Waddle and his fellow shareholders have built an outstanding portfolio of large, modern facilities run by a team of associates who are connected to the communities they serve. “We are very impressed by the Fastrac operation, from their unbranded fuel procurement and transportation department to the well-developed signature pizza program offered. In April of 2018, EG Group acquired a 762 site convenience store business in the United States from Kroger operating under the following banner names: Turkey Hill, Loaf ‘N Jug, Kwik Shop, Tom Thumb and Quik Stop. As part of the Kroger Deal, EG Group established its North American headquarters in Cincinnati, Ohio. In December of 2018, EG Group expanded to 988 stores with the acquisition of the Minit Mart portfolio from Travel Centers of America and the opening of a new Turkey Hill location in Pennsylvania. The Fastrac purchase will take the EG Group to a total of 1,042 stores, operating in 24 US states.